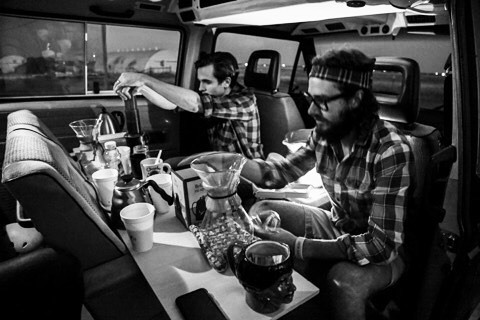 Ben's Beans is a small collective of coffee lovers- led by young entrepreneur Ben Hilton- serving home roasted coffee and specialty European based drinks out of a 1984 Volkswagen Vanagon endearingly named, "the Bean." And at that moment, Bens Beans was born. Want to book the coffee van for your next event? Go to the main menu and click on the link entitled "Book the Bean"! From there, you can fill out a short registration form and let us know what kind of event you've got brewing up! Feel free to send us questions/comments/concerns at bensbeanscoffeevan@yahoo.com.